MF Bros. LLC is a locally owned Junk Removal company. We specialize in ridding property and business owners of their unwanted items. Call Brian today at #610-731-9299 for a free quote. Thanks and hope to hear from you! Here at Greenville Cleanouts and Junk we do our very best to make sure that we offer quality service for all your unwanted household clutter and junk removal needs. 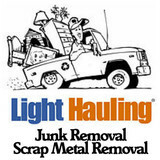 Our team of junk removal specialist can handle any job large or small. Our specialists are professional, prompt and polite. We are a local family owned business that services the greater Wilmington, Delaware and surrounding Pennsylvania area. We are fully licensed and insured. We handle basements to attics and specialize in hoarder houses. We know how overwhelming a clean out can be. Getting your space back is just a phone call away. Check us out on Yelp.com! : <a rel="nofollow" target="_blank" href="http://www.yelp.com/biz/1-800-haul-out-bala-cynwyd">http://www.yelp.com/biz/1-800-haul-out-bala-cynwyd</a> 1-800-HAUL-OUT is a full service junk removal company, we haul out just about anything from construction, rubbish, and yard debris to unwanted items and appliances. All you have to do is point-we do all the loading lifting and dirty work-from single items to multiple truck loads. We are fully bonded and insured, with worker's comp, so commercial clean outs and apartment buildings are no worries. What we do is relatively simple – help you reclaim and organize your life, whether it be by removing a dead refrigerator that’s been in your basement since 1972, cleaning out your attic, emptying your garage full of years of forgotten stuff so you can park your car in there, or maybe you inherited a backyard full of who-knows-what that you’d really rather not deal with, or maybe your business has an entire office that’s currently housing nothing but broken desks. We'll even meet you at your storage unit so you can clean it out and stop paying rent on stuff you haven't used in years. We're even highly experience and skilled in estate sales along with hoarder situations. We can help with that. We do it all and Haul Away just about Anything!!! Our team of professionals genuinely enjoys the work that they do. We understand that life happens and sometimes items have a tendency to accumulate and eventually take over one’s existence. Helping our clients remove this burden makes our job that much more enjoyable! Once your items leave your life, they come to our sorting facility. Items such as useable furniture and functional, unwanted items are donated to local organizations. The remaining bulk is sorted by material: glass, plastic, paper, wood, electronic and demolition. These items are then taken to recycling and disposal facilities. Our recycling program is very comprehensive. It matters to us, and we hope it matters to you. If you have any comments or questions please contact me via email. We are partnered with several local charities in our attempt to donate, recycle and reuse as much of the "junk" we actually remove. Clutter Stoppers™ provides a wide array of services for homeowners and small businesses. You might say our services are as varied as the customers we serve. Our services are individualized to your own personal needs. We work together with you to develop a plan based on your budget. Periodically there are projects too large for even us to handle. Or, possibly a task requires us to hire a specialized skill or licensed worker. We are happy to coordinate other services that may be needed to complete your project. For example, a leaking toilet may require a plumber, or a light switch may need repaired by an electrician, or possibly there is a tree that needs to be removed. 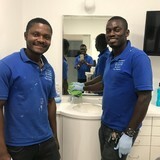 Whatever the circumstance, we can make arrangements and coordinate the activities of these people to make sure the tasks are done to your satisfaction. 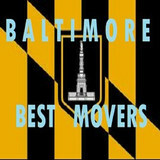 Quality Disposal Service is family owned and services Montgomery Counties, Chester County, Berks Country, and Lancaster. We provide trash removal service for Home Owners, Townships, Municipalities, Management Companies, both commercial and residential. We also rent roll off containers for any size requirement. We pride ourselves and being small enough to personally provide the service the big boys just cannot do, large enough to handle any job with our fleet of Trucks, and locally owned to be price competitive. Clean Earth Disposal Inc. is your solution for local dumpster rental that prioritizes customer service, cleanliness, and competitive rates. Plus up to 85% of the junk that goes into our dumpsters for rent is recycled! DeleteMyTrash.com is America's First Trash Pod™ company and is the first to offer commercial or residential customers the option of renting a Trash Pod™ or selecting full-service junk removal priced by volume. We continue to raise the bar within the industry by donating and recycling as much as 70% of what we take in or more. This allows us to offset our dumping costs and offer all of our customers the lowest rates, guaranteed. How We Started The company began in 2007 when the founders noticed the need for a closed container option. At the time, they were renovating a home and therefore, needed a dumpster. At the end of each day, they would head home and return in the morning only to find that the neighborhood used their dumpster as if it were their own. In the end, the founders ended up order 4 dumpsters when all they needed was one. There had to be an easier way. It was at that time they came up with the idea for a Trash Pod™, a 16 cubic yard container that can didn't require permits, could fit where traditional dumpsters couldn't, and best of all, could be closed and locked at night. 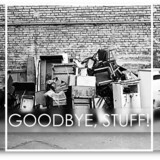 Our Future Since then, DeleteMyTrash.com has grown to become the Tri-State area's leading junk removal service. We now have three offices that allows us to serve out customers faster, work with over 15 charities, and are members of various trade associations such as the National Association of Professional Organizers. Our next step is to become the leading Junk Removal Franchise to meet the demand of our services throughout the United States and beyond. There are full-service junk removal companies in Downingtown, PA that help with everything from clutter and hoarding cleanups to appliance recycling to donating unwanted items. Keep in mind that you may need professional help removing certain items from your home, particularly if they’re toxic or unstable. Here are some related professionals and vendors to complement the work of junk removal: Tree Services, Environmental Services & Restoration, General Contractors, Home Builders, Landscape Contractors. Find rubbish removal professionals on Houzz. Narrow your search by city or zip code for a list of Downingtown, PA rubbish removal services. Get contact information so you can ask about rates, and read customer reviews to find the best rubbish and trash removal service for your home improvement project.